November 27, 2018, commemorates the 10th Anniversary of Avatar Adi Da's Divine Mahasamadhi. At Adi Da Samrajashram, in the early evening of Thursday, November 27, 2008 (Fiji time), Avatar Adi Da Samraj passed from the body. Throughout His Life, Avatar Adi Da Samraj had prepared His devotees to rightly understand the significance of His human Lifetime: the fact that it would inevitably come to an end at some point, and that the primary purpose of His Life and Work was to establish the means necessary for all future generations to be able to link up with Him, making the Reality-Way of Adidam available to all in perpetuity. 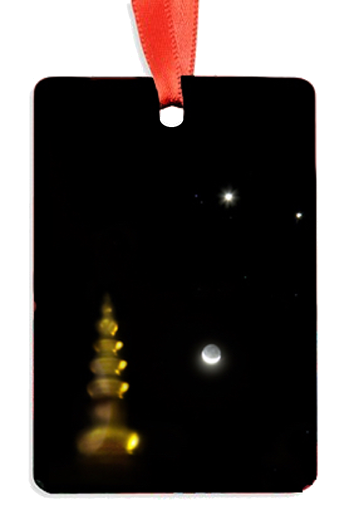 This ornament shows the gold spire from The Outshining “Brightness” with the unique moon and planetary configuration that appeared during the Divine Mahasamadhi Vigil in 2008. Adorning the Divine Spirit-Tree of Light during the Danavira Mela season, it is a simple means of honoring the Divine Avataric Master and the transition from His Incarnation-Lifetime to His Eternal Divine Form. This ornament shows the gold spire from The Outshining Brightness with the unique moon and planetary configuration that appeared during the Divine Mahasamadhi Vigil in 2008. For devotees of Avatar Adi Da, the end-of-the-year holiday season is “Danavira Mela”, the celebration (mela) of Avatar Adi Da as the “Hero (Vira) of Giving (Dana)”. It is a time to rejoice in the many human, Transcendental Spiritual, and Divine Gifts that He Gave and ever Gives to all of His devotees and to all beings. 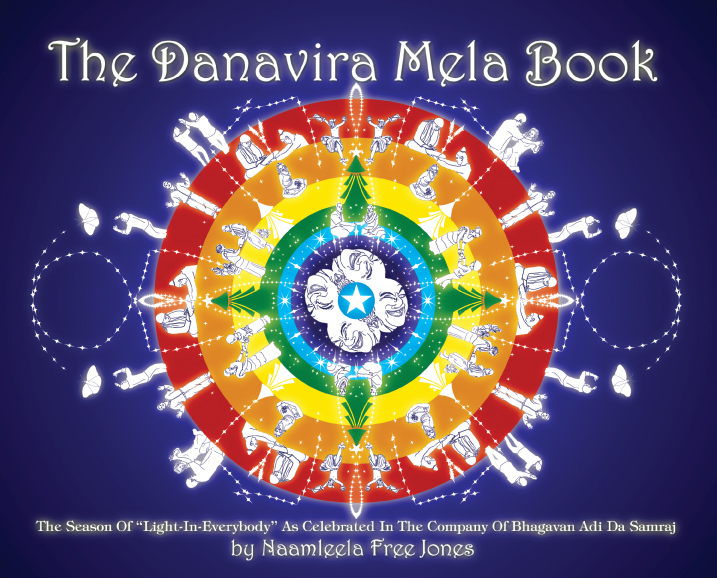 To learn more about Danavira Mela and the Divine Spirit-Tree of Light, click here to explore this lavishly illustrated book by Avatar Adi Da’s daughter Naamleela Free Jones.